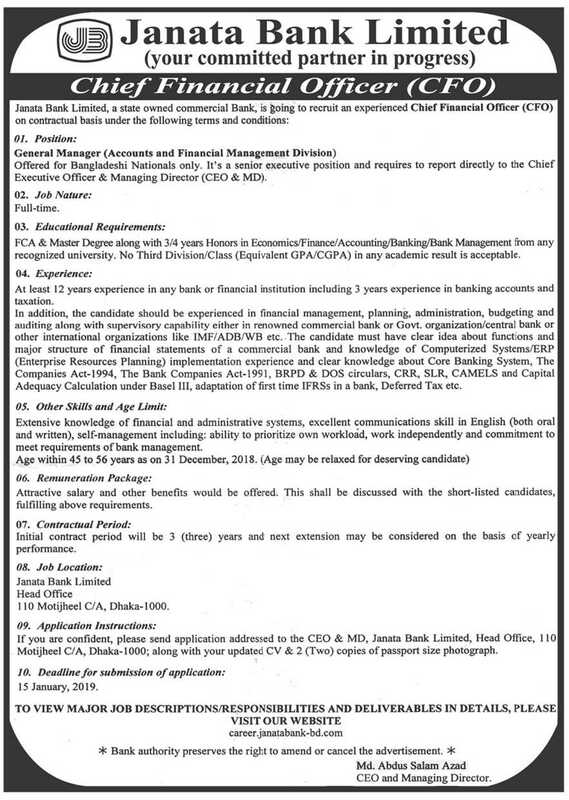 The authority of Janata Bank Limited has been published Job Circular 2019 for new Post. The Job Circular is found both Bangladesh Bank Official Website (erecruitment.bb.org.bd) and Janata Bank Limited (janatabank-bd.com). Only Eligible person can apply for a selected post. If You are eligible and interested Person then you can apply for Janata Bank Jobs Circular 2019. Janata Bank is the Government Bank and now a govt job has soo demand. Every job circular, Job vacancy is a few numbers. It’s a great chance to take the job. Job seeker person are searching “how to apply Janata Bank job circular?” Janata Bank Limited Online Application Process is very easy. Just follow the several processes to complete Bank jobs Application. First, Go to your Internet browser. Type career.janatabank-bd.com/index.php or Visit Janata Bank Online apply. 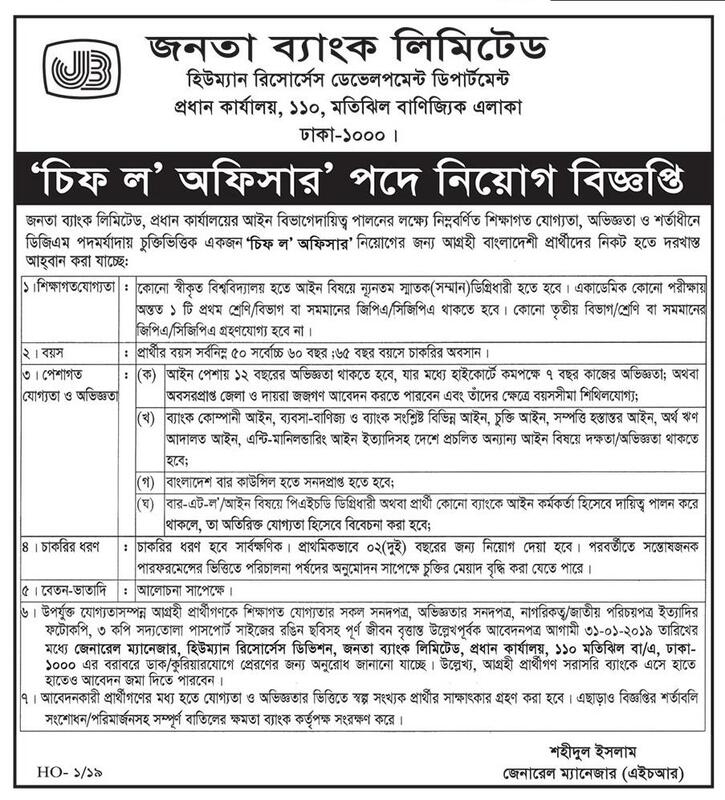 You will find Janata Bank Limited Job Circular. Then scroll down the select post for the application. Save username and password for Admit Download. We hope that you will understand how to apply Janata Bank Jobs Circular 2019. If You face any Problem then contact our Facebook Page.